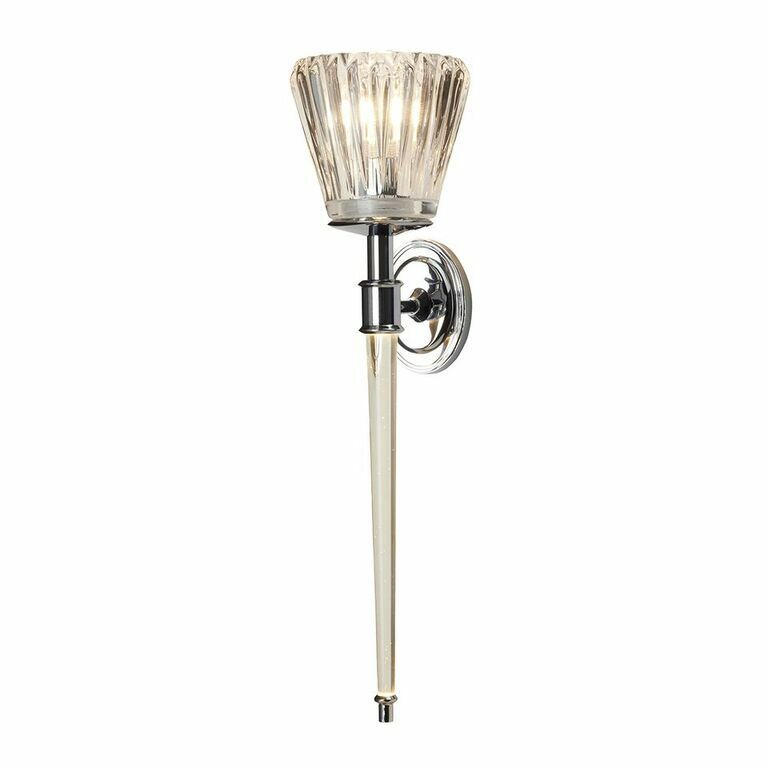 The Elstead Agatha Bathroom Wall Light Is In A Polished Chrome Finish With A Clear Glass Shade. The Agatha Chrome Bathroom Wall Light Has A Secondary In-Built LED Light Source That Shines Down And Illuminates The Clear Acrylic Rod. The Agatha Wall Light In Polished Chrome Is IP44 Rated.